The project to rehabilitate R. M. Schindler's Bubeshko Apartments focused on the project’s generative ideas, theories of spatial configuration, and employment of color and material. 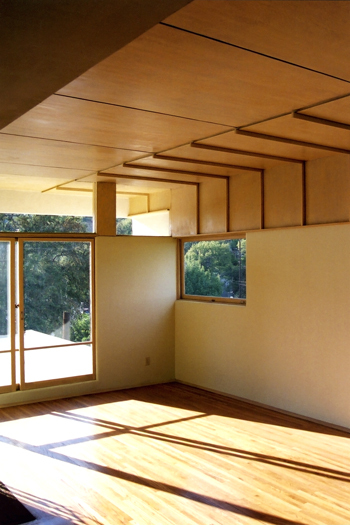 Stained plywood, painted wood, and colored plaster were used systematically by Schindler to promote ‘color plasticity,’ producing a matrix of individuated apartments, each distinct in size, configuration, orientation and finish. Our process engaged Schindler’s formative theories and architectural intentions without strictly freezing the project at the time of its conception but by extending his concerns to contemporary conditions. The restoration of these important buildings is a model for future work: careful study, open to revision, undertaken with economy, environmental sensitivity and integrity.